​Our professional leather cleaning and protecting service is the best way to take care of your leather upholstery – and our premium clean is currently half price when you clean at least one leather sofa and one chair. You’ll get the highest quality leather cleaning service, carried out by experienced,qualified technicians — at 50% off our usual price — just for trying out our premium professional leather furniture cleaning service. I’m so convinced you’ll love the results, I’m taking all the risk – by offering to give you 50% off your first clean with us, so that you can experience our highest quality premium leather cleaning service, confident you’ll come back again and again. I would like you to see how beautiful your leather upholstery looks, before you decide to pay. If, for any reason, you’re not happy for us to continue, it’s free! That’s why I’ve created our Free Trial Offer for leather furniture cleaning. Our advanced, new cleaning system safely removes dirt and grime, giving your upholstery a new lease of life. See for yourself how good your upholstery will look. We’re happy to provide you with a free quote for any leather cleaning service you require. Our free home or business quote means we’ll come to you and listen to your needs.  We’ll test your leather upholstery and clean an area for you to see, and provide you with a free no-obligation written quotation. Alternatively, we’re happy to give you an approximate estimate over the phone, or by email based on the information you provide. Our premium leather upholstery cleaning process is safe for leather, people, pets, and the environment, so you can rest assured we’re taking good care of you as well as our precious planet. We’ve been cleaning leather sofas and chairs for almost 30 years, so we know the local area and our qualified, experienced technicians will give you the best results possible. Plus, unlike many other systems, our premium leather cleaning service cannot shrink or stretch or split your leather. It’s impossible with our system! You’ll get a thorough professional cleaning, and then we’ll apply a high quality leather protection finish to keep your leather upholstery in tip top condition. There’s nothing worse than having to wait hours or even days before you can use your upholstery again! Our customers are delighted that their clean leather furniture is ready to use immediately we’ve finished cleaning it. There is NO waiting time at all – so you can be sure your clean leather upholstery will dry and ready to use right away, whatever the weather outside.